There are some orthodontic options for younger children and early teenagers which can be highly effective. For younger children, orthodontic treatment can be far easier simply because younger kids are more receptive to treatment as their jaws and bone structure has not fully formed. Taking your child into an orthodontist office at the age of seven for their first orthodontic visit is strongly advised by the American Orthodontic Association so that an orthodontist can get a better picture for treatment options that might be available to fix any of your child’s issues and ensure a perfect smile later on in life. Getting treatment at a young age can not only speed up the process of orthodontic treatment but also ensure the kids have more confidence later on in life. In some cases children may need to phase orthodontic treatment which involves the process of guiding jaws into place and correcting harmful habits which can correct a child’s bite, allow them to speak better and allow them to develop perfect smile in a two-stage approach. The first stage may involve surgery or the use of an expander or retainer to move teeth into their appropriate positions and to guide jaws into their appropriate positions to correct any overbite or underbite. The second stage involves the use of traditional braces which will move all of the child’s permanent teeth into their correct positions and ensure that the child can enjoy a perfect smile. Waiting until adult life could mean that special jaw surgery needs to take place and that orthodontic appliances will need to be worn for a longer period of time in order to make these corrections. In the early stages of life a child is much more susceptible to orthodontic treatment and the treatment can continue much more efficiently and at less cost. 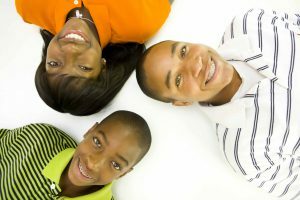 Contact Gluck Orthodontics today to schedule a complimentary consultation for your child.